Barbara Walters apparently had little faith that The View would go on after she departed the long-running show. 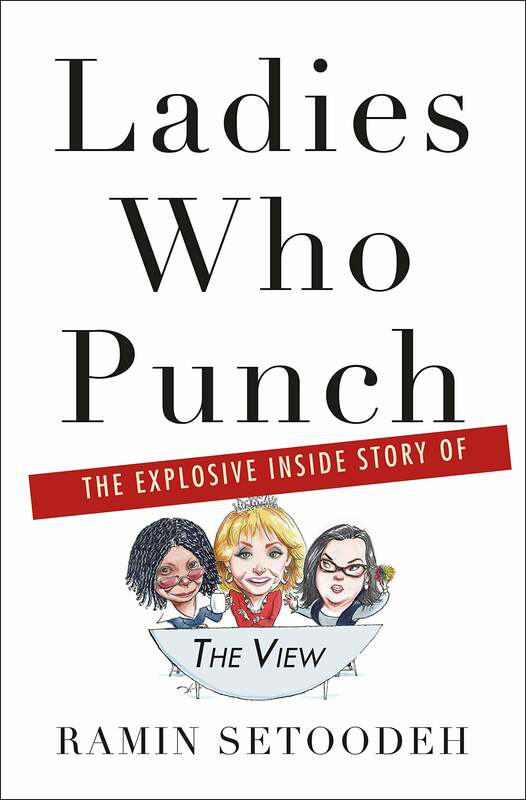 According to an exclusive excerpt obtained by ET from Ramin Setoodeh's highly anticipated book, Ladies Who Punch: The Explosive Inside Story of The View -- out April 2 -- the 89-year-old broadcasting legend made her less-than-positive feelings about the show known when she left in 2014. Walters created The View and was one of its original hosts, appearing on the talk show from 1997 to 2014. According to the book, Walters conceived the on-air reunion for the 11 co-hosts of the show during her last week on The View before her retirement, which included Debbie Matenopoulos. Matenopoulos says that she talked to the broadcasting legend backstage, and noted that the show wouldn't be the same without her. But even after she left The View, Walters apparently still had lots of interest in the show. The book states that she would still call up the control room with producing instructions, and Walters herself says she doesn't approve of the number of co-hosts who followed her on the show. Short-lived co-hosts on The View have included Candace Cameron Bure, Jenny McCarthy, Raven-Symone and Sara Haines. "It's too many," Walters tells Setoodeh. "I think you should tune in and know who they are. There are days when I tune in and I don’t recognize anybody." Clearly, there's been some dysfunction behind the scenes of the popular show through the years, according to new interviews with former co-hosts for Setoodeh's book. For example, former co-hosts Rosie O'Donnell and Elisabeth Hasselbeck are still at odds after their explosive 2007 on-air fight over the Iraq war, which had O'Donnell leaving the show directly following the argument. McCarthy also talked to Setoodeh about her "miserable" one year on the show from 2013-2014, and made wild claims about Whoopi Goldberg -- whom she claimed had "an addiction to controlling" everything on set -- as well as Walters. McCarthy claims that Walters, who was upset about being forced to retire from the The View, was incredibly temperamental. "You know the movie Mommie Dearest? I remember as a child watching that movie and going, 'Holy cow!' I've never seen a woman yell like that before until I worked with Barbara Walters," McCarthy says, according to an excerpt from the book published by Vulture.